A compact, lightweight professional PA speaker with an efficient Class-D amplifier and excellent sound pressure level handling. 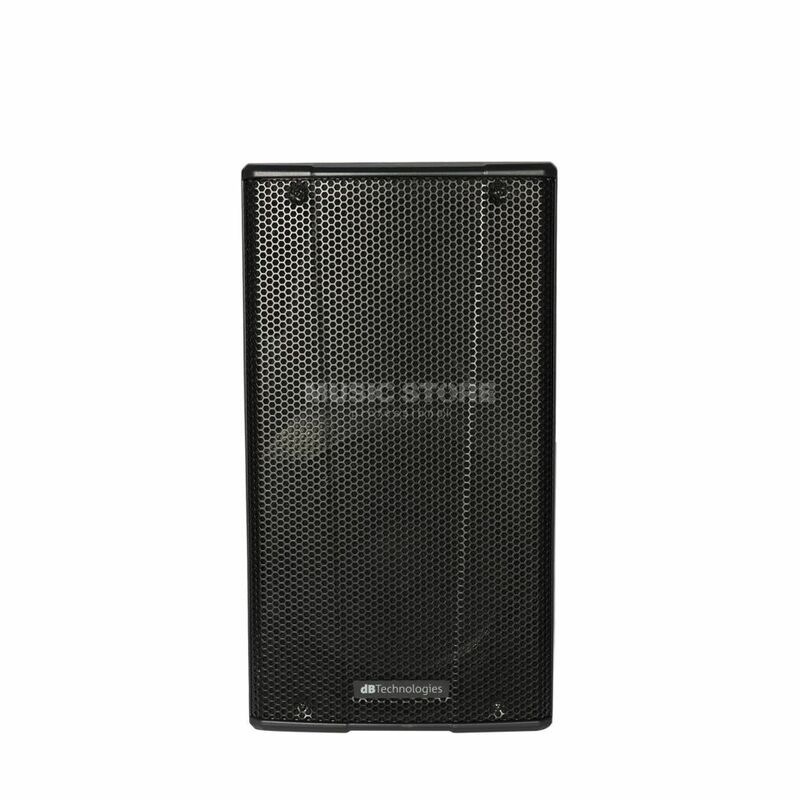 The dB Technologies B-Hype 12 Active 2-Way 12" Speaker is a compact and lightweight professional PA speaker with an efficient Class-D amplifier and excellent sound pressure level handling. The B-Hype 12 can safely receive SPL of up to 126dB without distortion of the audio signal. The speaker itself consists of an 12” woofer (2” voice coil) and a 1” compression driver (1” voice coil), and the innovative horn design means the extended projection from B-Hype series speakers is uniform. Design of the exterior of the cabinet also ensures a narrower and efficient sound coverage which is less affected by reverberant spaces. DSP pre-sets can be used to enhance upper and/or lower frequencies, and the B-Hype speakers can be connected as a pair with a balanced output cable. A feather-light and modern design, contemporary protective grille and three handles rounds out this series of speakers, which are pole-mountable on tripods, stackable or angled from the floor.